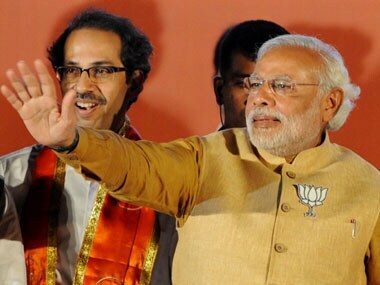 Prime Minister Narendra Modi and Shiv Sena chief Uddhav Thackeray will share the stage at a rally in Maharashtra on Tuesday, for the first time after their parties joined hands, once again, for the Lok Sabha election. 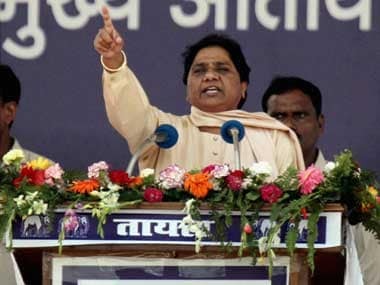 They will address a public gathering at Ausa in Latur in support of the alliance's candidates in the district and in Osmanabad, where polling will be held on 18 April. 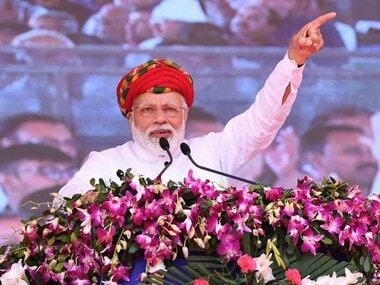 The prime minister will also address rallies in Karnataka and Tamil Nadu on Tuesday. Congress president Rahul Gandhi will be on a campaign trail in Assam, Bihar and Odisha on Tuesday. He will hold public rallies in Bihar's Gaya, Kandhamal in Odisha and Hailakandi in Assam. Congress general secretary Priyanka Gandhi will hold a roadshow in Uttar Pradesh's Saharanpur, a day after her joint rally with Rahul was cancelled due to "bad weather". Meanwhile, West Bengal chief minister and TMC chief Mamata Banerjee will also campaign in the state's Raiganj. The Indian Air Force on Monday reiterated that it had shot down an F-16 jet of the Pakistan Air Force during the 27 February aerial combat over Rajouri in Jammu and Kashmir. To back its claim, IAF showed radar images of the dogfight to assert that it has "irrefutable evidence" that India had shot down an F-16. 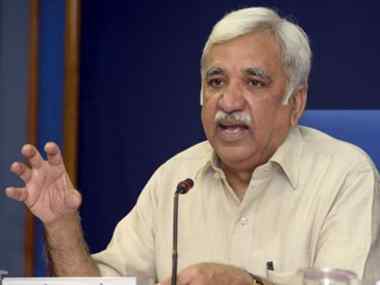 The air force held a media briefing at the defence ministry, where several slides of graphic captures from an airborne warning and control system (AWACS) were shown to the media. "The IAF has irrefutable evidence of not only the fact that an F-16 was used by the Pakistan Air Force on 27 February, but also that an IAF MiG-21 Bison had shot down the F-16," Air Vice-Marshal RG Kapoor said. However, he did not take any questions from reporters. On Friday, IAF had refuted the claims made in a report by a leading US news magazine that contradicted India's assertion. "There is no doubt that two aircraft went down in the aerial engagement on 27 February, one of which was a Bison of the IAF, while the other was an F-16 of the PAF, conclusively identified by its electronic signature and radio transcripts," an IAF official had said. The National Company Law Appellate Tribunal on Monday directed debt-ridden Infrastructure Leasing & Financial Services (IL&FS) to submit details of investment made by pension and provident funds in its four group firms. It also sought information on the financial liabilities of those entities. These four "amber" companies are the Hazaribagh Ranchi Expressway, Jharkhand Road Project Implementation Company, Moradabad Bareilly Expressway and West Gujarat Expressway. The NCLAT also made it clear that it has not stopped IL&FS and its group entities from implementing any resolution process. During the proceedings of the appellate tribunal, a two-member bench headed by Justice SJ Mukhopadhaya observed that the money invested by the pension fund and provident fund in the IL&FS companies should be released first. "Provident fund and pension fund have nothing to do with this. This is not your money. It is related to the employees. We it to be released first," the bench said. MS Dhoni's Chennai Super Kings will take on the Kolkata Knight Riders in match 23 of Indian Premier League on Tuesday. Both sides are level on points with four wins each from five matches. No team has won five matches so far in IPL 2019, and today's winner will take the top spot on the points table. While CSK will continue to bank on its spinners at their den, MA Chidambaram Stadium, KKR have the ace in the shape of Andre Russell. Chris Hemsworth has said he would "love to" play the iconic British spy James Bond. The Thor star joked that his portrayal of quintessential Englishman James Hunt, champion of Formula One in the 2013 sports biopic Rush, was like an audition reel to have a crack at essaying Agent 007. "When we were shooting Rush, someone had said that and I thought, 'Cool, if this is my audition tape, then great.' I don't think you'll ever meet anyone who doesn't want to have a crack at James Bond. I'd love to do it," Hemsworth told Balance magazine. This year's iPhones, successors to the iPhone XS and XS Max, are expected to come with a triple-camera setup. A new report by Macotakara said Apple has plans of including a USB type-C to Lightning Port adapter and an 18 W fast charger inside the box, which would be a first for the company. Reports differ on the configuration for the third camera, but it is believed that Apple might include a 3D ToF sensor instead of a wide-angle lens.